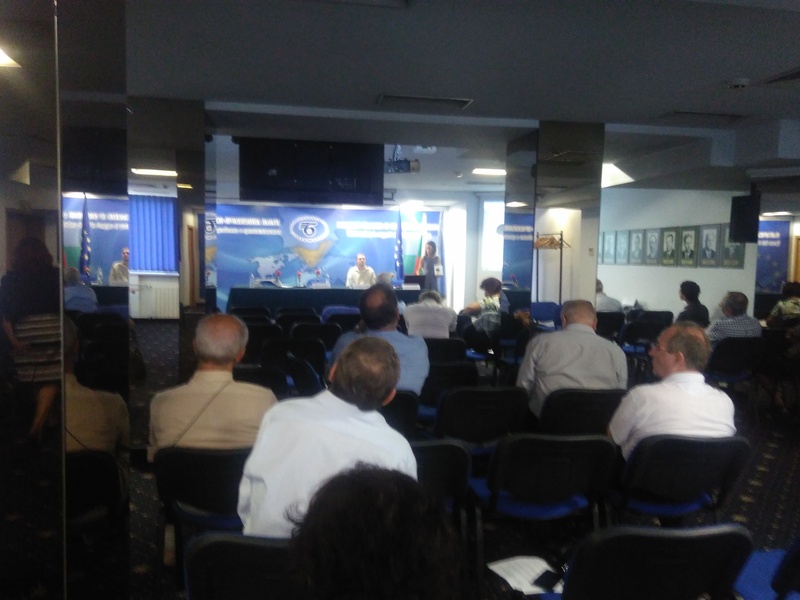 Round table on "The role of Innovations in the field of electrical engineering, electronics and energy efficiency in the Republic of Bulgaria"
A Round table was organized by the Innovation Council of the Bulgarian Chamber of Trade and Commerce on "The role of Innovations in the field of electrical engineering, electronics and energy efficiency in the Republic of Bulgaria" on 21st of July 2017. The event took place in the Meeting Hall at the premises of the Chamber of Trade and Commerce in Sofia. During the second part of the meeting Sofia Energy Agency SOFENA held the Start2Act business breakfast. The event was attended by representatives of governmental and non-governmental institutions, managers and experts from small companies and start-ups. Mrs. Nadya Nikolova-Deme informed the participants about the activities that the START2ACT project offers and the possibilities to benefit from them. Mr. Zdravko Georgiev from SOFENA outlined shortly the main soft measures that can be applied in the office to save energy and costs. A short presentation of a MClimate Start-up Company was also included about an innovative product for control of heating/cooling of the office or home.